Miami Heat vs Philadelphia 76ers Odds: Tonight the surging Philadelphia 76ers will try to even the score with division rival Miami when they take the court at 7 PM ET. The Heat (16-6 SU 9-13 ATS) pounded Philly (16-6 SU 15-6-1 ATS) in their first meeting 113-92 as -6.5 home favorites. Can the Sixers cool off the Heat in front of a packed house in Philadelphia? Our NBA picks analyst took a closer look. NBA Picks Analysis: The Heat are coming across a Sixers team that is playing at a high level. Quietly the Philadelphia 76ers have cashed Vegas Odds spread tickets at a 71% rate thanks to a stifling defense and very few turnovers. 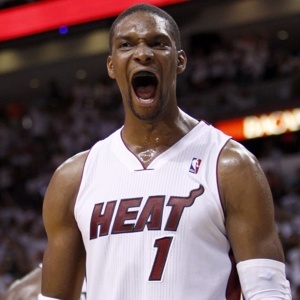 As explosive as James, Wade and Bosh can be the Heat can get equally as sloppy with their ball control. Miami’s defense also can spring a few leaks with their weaknesess in the paint getting exposed by lesser teams. Miami Heat vs Philadelphia 76ers Odds Over/Under is at 191.5 points. Miami is a tenacious bunch that is coming together but Philly will be fully juiced for this rematch in primetime. Miami is favored on the Vegas Odds but mostly that is due to their popularity. The lesser known but more well-rounded 76ers should be able to win a thriller at home. Order a winning Vegas Sports Picks Handicapping subscription and load your pockets with greenbacks!